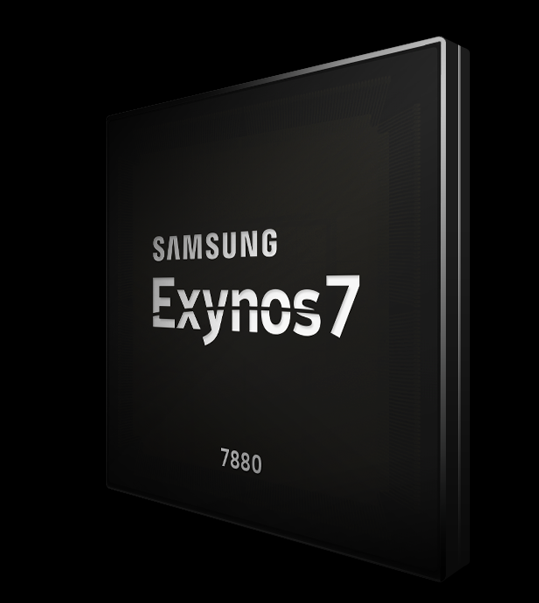 The Samsung Exynos 7 Octa 7780 is a 64-bit SoC for mainstream smartphones and tablets (usually Android based). It was announced early 2017 and integrates eight Cortex-A53 cores clocked at up to 1.9 GHz. It is manufactured in the modern 14 nm FinFET process at Samsung and integrates an LTE Cat 7 modem. The (dual channel?) memory controller supports LPDDR4 RAM. Additionally, the SoC integrates GPS, GLONASS and Baido positioning systems, UHD / HEVC (H.265) video de- and encoding and UFS 2.0 / eMMC 5.1 storage.